Nixie tachometer with Bluetooth LE « Adafruit Industries – Makers, hackers, artists, designers and engineers! Thanks to Jeff LaBundy for writing in to share this project! You can read more about the build on his blog here. Nixietach II is a deluxe electronic tachometer built for my 1971 Ford LTD. Discretely mounted along the bottom of the vehicle’s dashboard, Nixietach II reports revolutions per minute (RPM) with a quantization error of only 0.03 RPM at 1,000 RPM. Flipping a switch allows the design to double as a precision dwell meter. Either measurement is shown on the design’s lustrous cold-cathode display, built from authentic Soviet-era Nixie tubes. A rear-facing USB port allows for logging data to a file and exposes a command-line interface for control of the device. The design supports four, six and eight cylinder engines and is enclosed in a sumptuous anodized aluminum frame with ABS plastic insets. 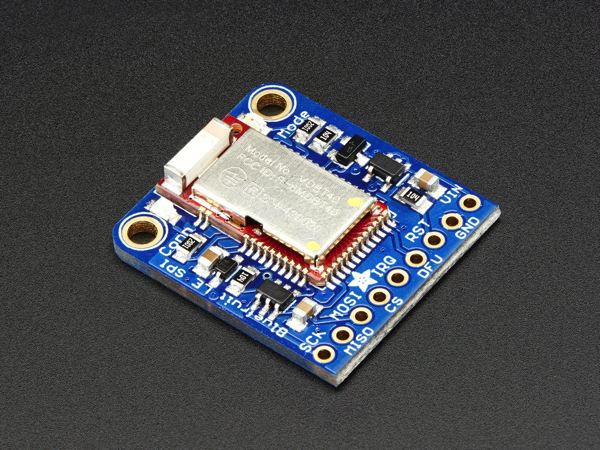 Adafruit Bluefruit LE SPI Friend – Bluetooth Low Energy (BLE): Would you like to add powerful and easy-to-use Bluetooth Low Energy to your robot, art or other electronics project? Heck yeah! With BLE now included in modern smart phones and tablets, its fun to add wireless connectivity. So what you really need is the new Adafruit Bluefruit LE SPI Friend! Read more.